The UK is set for clouds and mild temperatures rather than the bone-chilling winds pounding the continent – thanks to a jet stream blanketing Britain. 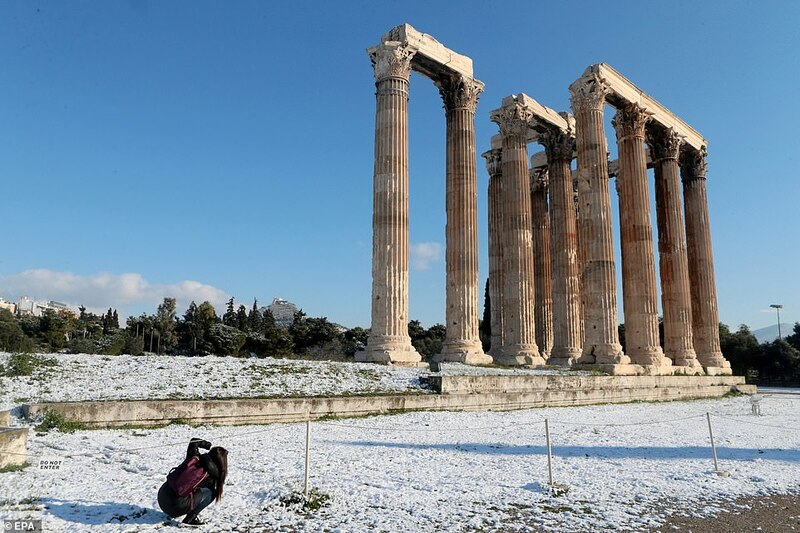 Stratospheric warming means that while countries such as Greece suffer lows of -23C (-9F), the UK enjoys highs of 12C (54F) in Scotland and Northern Ireland’s most northerly areas, with light rain as opposed to the heavy snow that has hit Austria and Germany. But it won’t last, as the Met Office explains that it is precisely the phenomenon currently protecting us from the cold that brought the Beast from the East last year. Today will be rather cloudy but dry for most in the country, with the threat of the odd spot of light rain or drizzle, especially for coasts and hills. 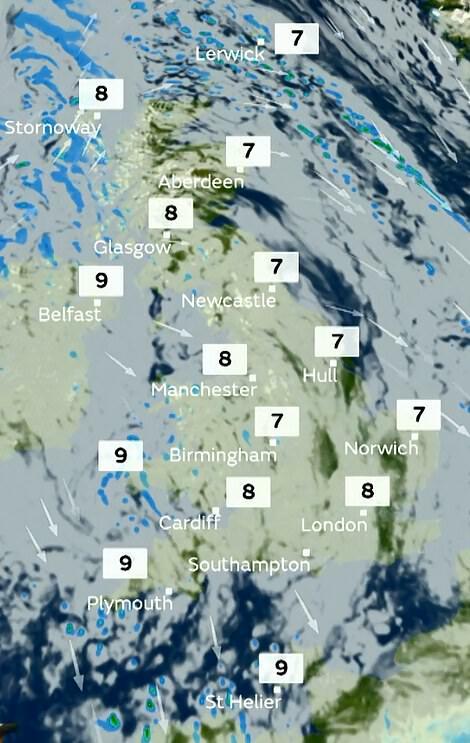 Southern parts of England are likely to start bright with some sunshine and a few sunny spells may develop later in the north-east. Tonight will be a mostly cloudy night in the south and far north with a few spots of light rain or drizzle possible. Central and northern areas will be generally dry with clear spells for much of the night. Through the night, there is a risk of mist and fog developing, mostly over the hills. Gentle winds. Tomorrow will be a misty start for some, especially over the hills. Once any mist clears, it will become a dry day with bright or sunny intervals developing in many places. Some patchy rain moving into the north-west later though, on a freshening breeze. Light north-westerly winds for most areas. The outlook for Saturday is cloudy for many and it will become windy for all. Southern areas will stay mostly dry. Northern areas will see showers or longer spells of rain. On Sunday, it will remain windy for all. Northern parts will see frequent showers. Sunny spells and scattered showers in the south. Although stable weather conditions are on the way over the next fortnight, a sudden stratospheric warming event in the Arctic around Christmas, could bring much colder temperatures by the end of January. 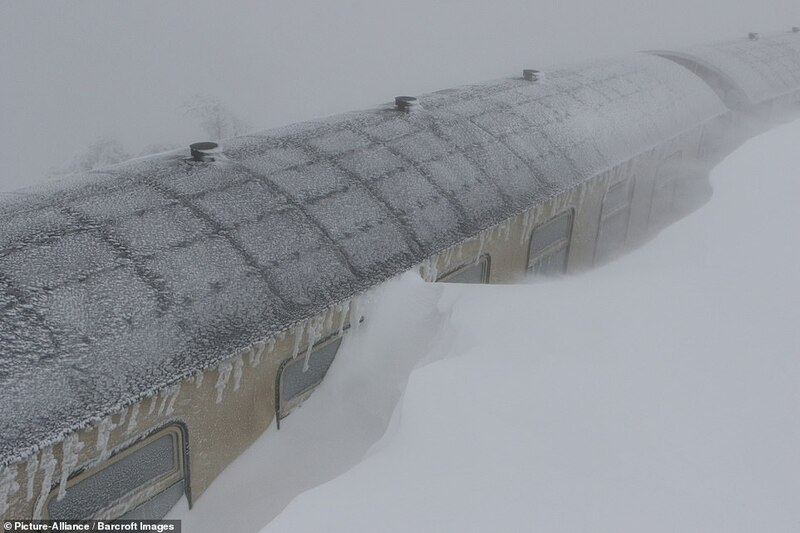 This is what caused the 2018 Beast from the East – an icy blast of freezing Siberian winds which brought sub-zero temperatures, heavy snow and travel chaos – leading to the chance of the same conditions returning this month. Austria could face 10 feet of snow in the next few days after a January that has seen more powder than usual. 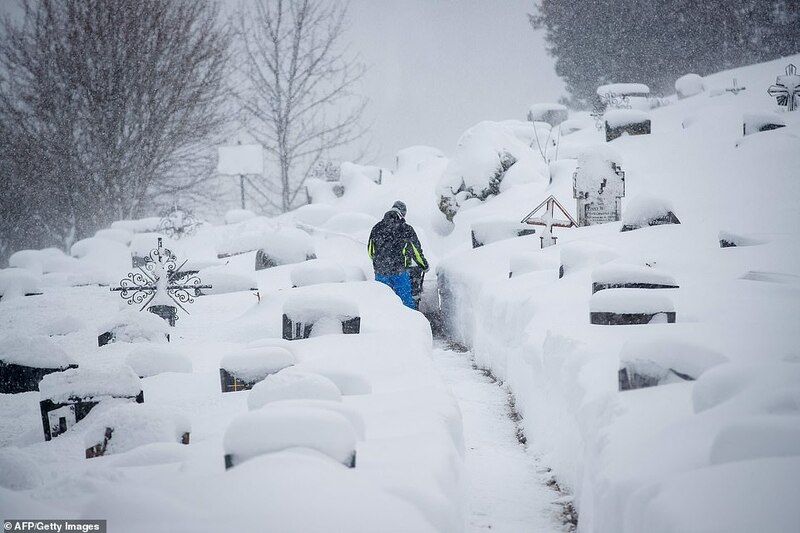 The weather has closed more than 1,000 miles of ski slope in the Alps as the cold stretches as far as Greece where temperatures reached as low as -23C in Florina on Tuesday. Severe conditions that hit Britain in early 2018 were called a ‘cocktail of weather events’ by the Met Office. 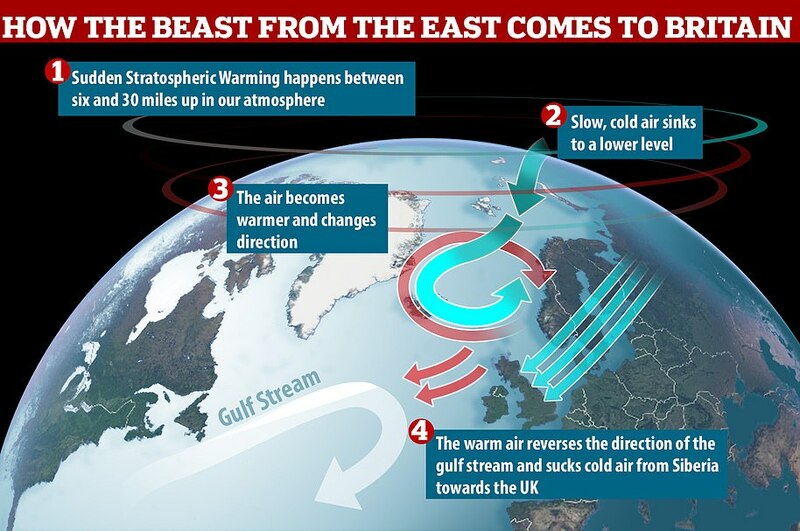 The cold spell dubbed the ‘the Beast from the East’ – which also coincided with the arrival of Storm Emma – was caused by a jump in temperatures high over the Arctic, known as ‘sudden stratospheric warming’. The phenomenon, which in Britain usually leads to cold periods, begins 30 miles into the atmosphere in the high altitude jet stream, which usually flows from west to east, bringing relatively warm and wet air from the Atlantic into the UK. A disturbance hits the jetstream, pushing its waves down towards the Arctic and reversing the stream from east to west. As the air is compressed over this region, it begins to warm. This leads to high pressure over the North Atlantic, blocking the usual flow of mild air that flows into Britain from the west. 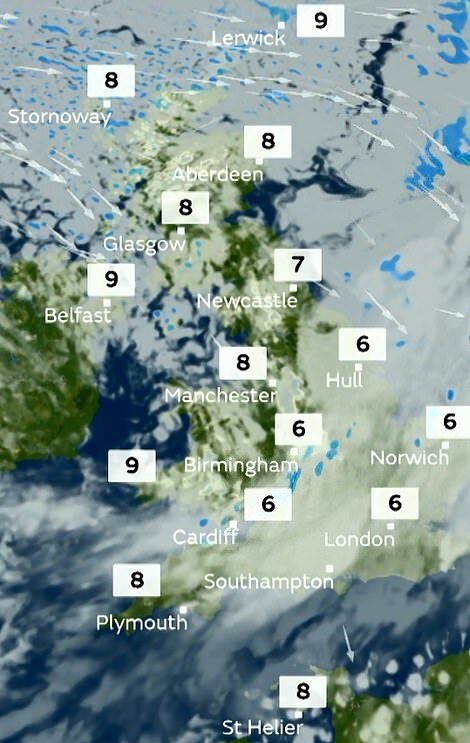 Instead, colder air from the east is sucked over the British Isles, resulting in colder temperatures.